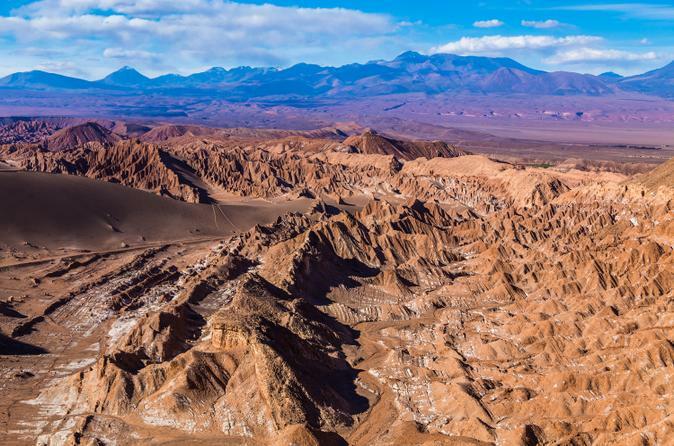 Experience the other-worldly landscapes of Chile’s Atacama Desert on a four-day guided tour from Calama to San Pedro de Atacama. 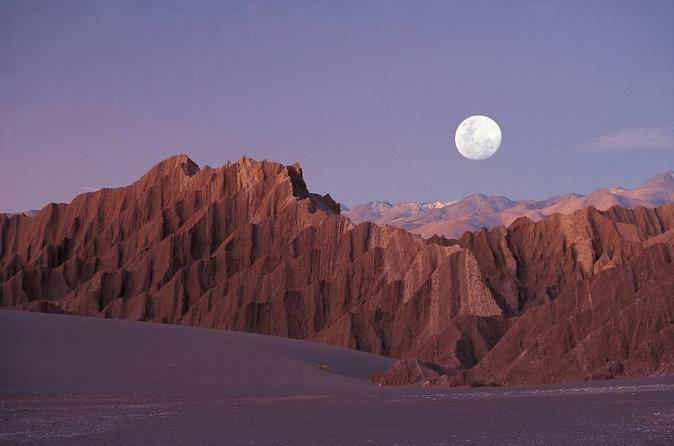 Explore Moon Valley, where you'll see one of the largest salt flats in the world, watch the sun rise over the Geysers del Tatio, and be amazed by the crystalline beauty of the Menique and Miscanti lagoons in Chile’s Death Valley. Choose from a three-star or four-star hotel for all three nights’ accommodation. 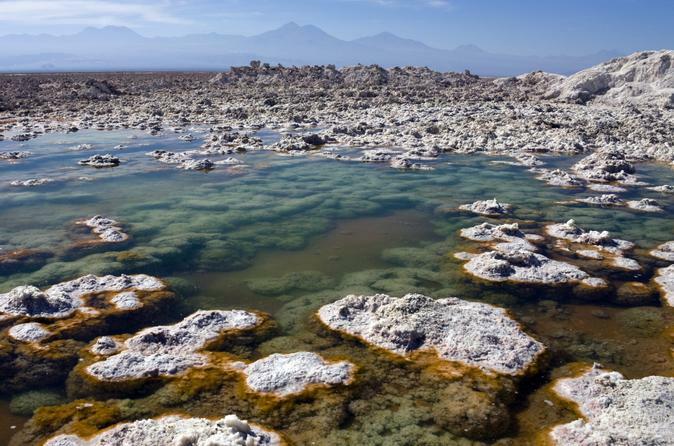 Don't miss this early morning tour to El Tatio geyser field, one of San Pedro de Atacama’s most popular surrounding attractions and one of the biggest geothermal fields in the world with more than 80 geyers. 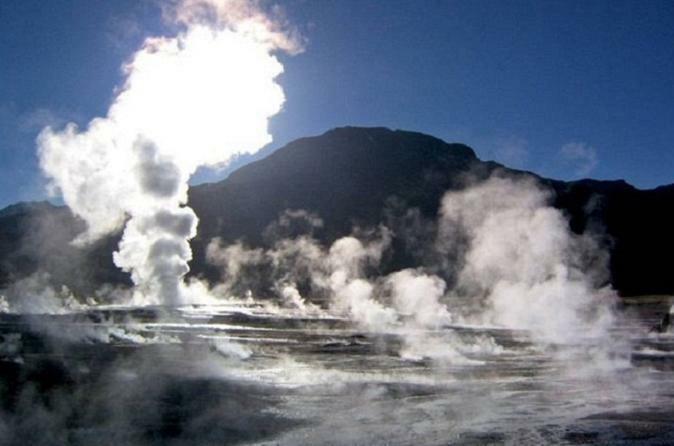 With a local guide, you'll arrive at El Tatio at sunrise, when the cold, high-altitude air creates a mystical landscape of steam. Then enjoy a light breakfast before taking a soak in one of the naturally occurring hot springs. End your tour with a stop in the small adobe village of Machuca. 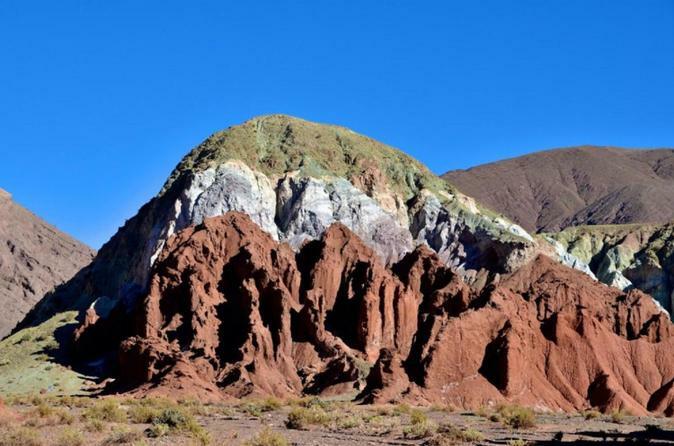 Visit the Rainbow Valley and its surrounding attractions on this morning tour from San Pedro de Atacama. With a local guide, you’ll head to the Domeyko Mountains, where mineral-rich rocks of various colors give the striking Rainbow Valley its name. 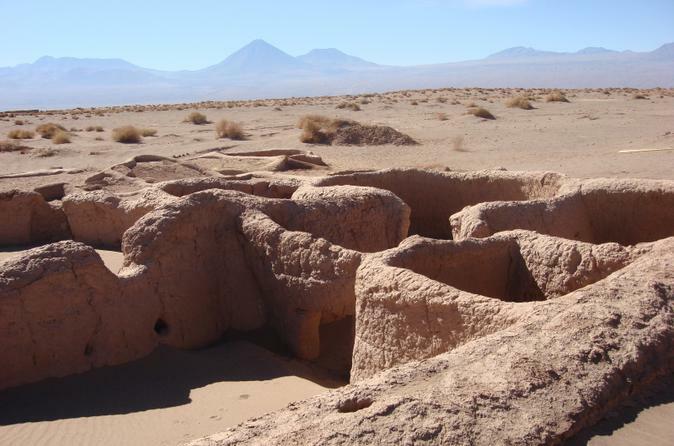 Then admire ancient petroglyphs at Hierbas Buenas, and explore the tiny village of Rio Grande, where you can browse handicraft stalls and snap photos of its unique architecture. Hotel transport is included. 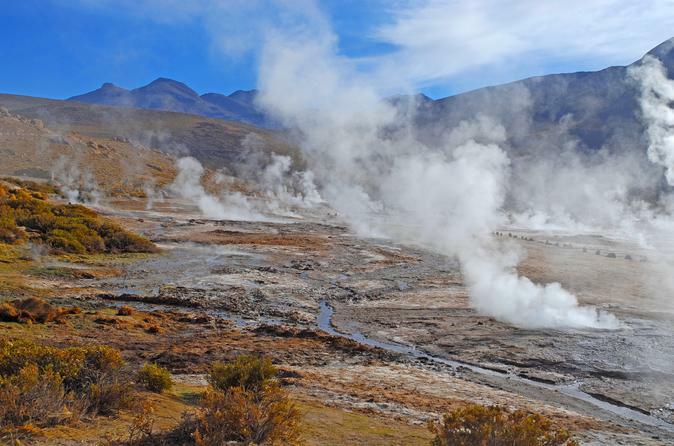 Enjoy a tour to El Tatio Geysers and Machuca Village from San Pedro de Atacama. 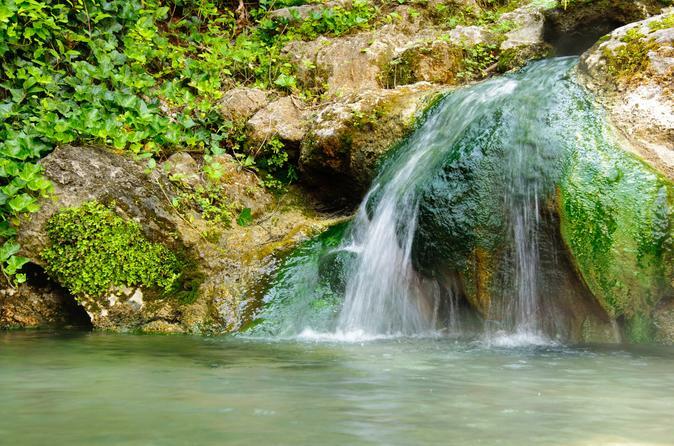 See this beautiful natural site and enjoy visiting a charming little town. Your tour includes transportation and a professional guide. 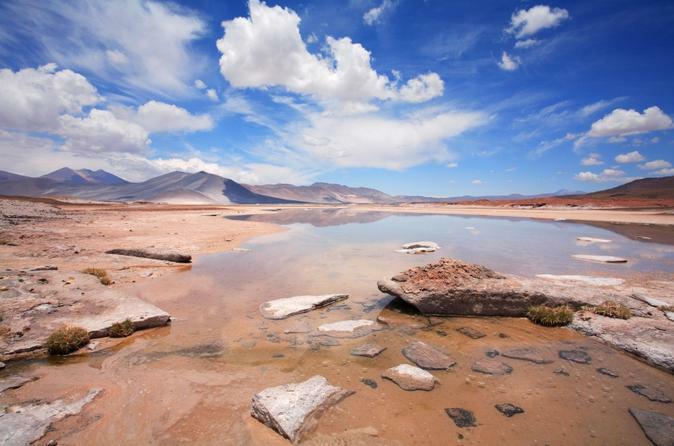 Spend a relaxing afternoon at the Puritama Hot Springs on this excursion from San Pedro de Atacama. Enjoy convenient hotel transport to the hot springs, and then discover the eight pools at your leisure, moving easily between them on the wooden walkway. Feel the hot, thermal waters releasing tension in your body, and let the many minerals like calcium, magnesium and sodium do their best to soften your skin. 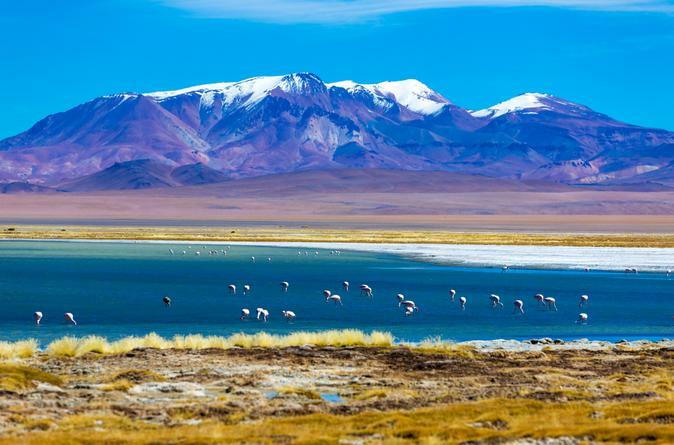 Visit the Atacama Salt Flat and neighboring village of Toconao on this 4-hour tour from San Pedro de Atacama with a local guide. 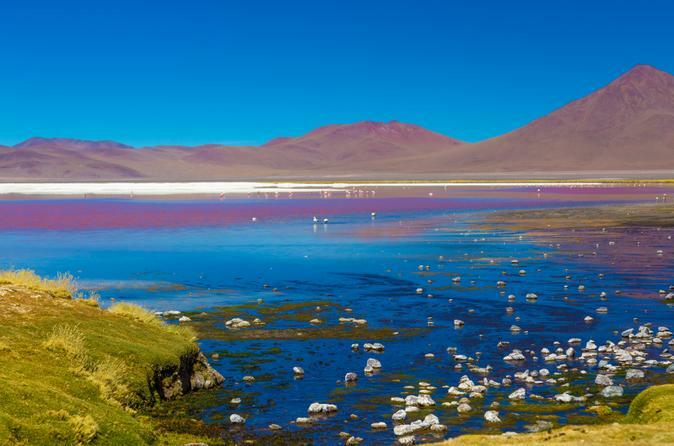 At 1,200 square miles (3,000 sq km), the salt flat is one of the largest in the world; you’ll see a piece of it at the Soncor section, which is home to the famous flamingos of Chaxa Lagoon, part of Los Flamencos National Reserve. On the way to the salt flat, stop through Toconao to browse its handicraft market, and visit Quebrada de Jerez.